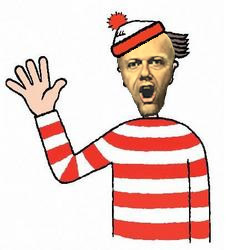 After more gaffes, Chris Grayling has come out of hiding. But his interventions yesterday on drugs and reoffending are out of touch with society and reality. Chris Grayling has been spotted! After gaffe after gaffe, the Conservative shadow home secretary has come out of hiding. And once again, he has been making wild accusations – not yet picked up by the mainstream media. A video on the Conservative Party website popped up yesterday suggesting that there is a causal link between education and drugs. Surprisingly, there is no text backing up the claim. Mr. Grayling was filmed on a council estate, north of Kings Cross in London. While blaming “education failure” he forgets to make the link between poor social housing and drug usage. This is a much more accepted link within the social policy literature. In Puerto Rico, for example, the campaign against illegal drugs has taken place mainly in social housing. According to Shulamith Lala Ashenberg Straussner, this has lead to “fences, access controls, and bulletproof guard stations” manned by the National Guard. Of course, no British politician would want to introduce this kind of radical manifesto policy. But it is a pity that some Conservative candidates are ready to blame Labour’s execution of education policy, but not local government social housing policy. Mr Grayling’s second intervention of the day was a press release claiming, “Most children released from jail reoffend within a year.” The reality is that the number of young people entering the Criminal Justice System is falling for the first time – from 94,481 in 2007-08 to 74,033 in 2008-09. Reoffending is also falling with a 7.3 per cent reduction between 2000 and 2008 in the proportion of young offenders who reoffend. The man who aspires to be Home Secretary in May is clearly out of touch with both society and reality. And to think that he was lauded only this morning by chief Tory columnist Fraser Nelson in The Daily Torygraph – http://slingerblog.blogspot.com/2010/04/tory-knives-are-out-for-theresa-may.html. Dear oh dear…I wouldn’t want to be David Cameron, having to deal with loose cannons like Chris Grayling, and so near to an election. plurality. an alternative political and social thought. Re the paragraph about youth (re)offending: none of the statistics that you or Grayling quote are contradictory. Your stats are about offending and reoffending; Grayling’s stats are about post-custodial reoffending. What the combined stats suggest is that prison doesn’t work for young offenders. So Grayling isn’t ‘wrong’, but you could argue that he’s not telling the whole truth. Re “educational failures” of drug policy: neither you nor they provide any empirical evidence about the effect of education upon drug (mis)use. Quoting empirical evidence about some other effect doesn’t change this. Well! Evidence based blogging. Any all your posts are different from the usual party political point scoring how exactly? Grayling is a bit of a prat but worse than Balls, Liam Byrne etc? Your site reads a bit like CIF writ small. Committed Labour activists talking to each other and full of the conviction that Tories are all posh, wicked, self-interested, duck pond owning dinosaurs. When you stop talking to yourselves and start talking to the rest of us you might have some chance of being re-elected. Too late this time though. Duncan – I’d argue that Grayling isn’t telling the whole truth. The press release reads like youth offending was invented in the last 13 years. He even says, “Last week Gordon Brown boasted about the Government’s record but these statistics show that reoffending rates among young people released from custody has hardly improved under Labour.” Presumably that means it has improved, then. Will, you crease me up. From her own blog description she says she is 100% committed to Labour winning a fourth term. So she is not actually a member of the Labour party. Precious few are nowadays, that’s why you get most of your money from Unite, despite its members’ preferences and inertia. I am not very political, have voted Labour several times over the last 20 years (including, God help me, for Ken) but am sick of the hypocrisy of political activists who listen to no-one but themselves and for whom criticism is a validation. You strike me as a case in point. hey hey hey. stop talking about “her”! I’m not a member of the Labour Party because I don’t agree with a lot of what they say. If you look at what I write on my blog, I am not focused on promoting the party at all. I am rooting for Labour to win because their policies are closer to what I believe in than the other two main parties. Claire, what a refreshingly honest post. I was actually having a go at Will more than you because he strikes me as just the sort of one eyed activist (on either side) who gets under my skin. On the specific points you make in your blog, Margaret Thatcher was selling off council houses 25 years ago. The council tenants who bought might tell you that they were grateful for the chance to own their own home. Of course, the more people who do that, the fewer clients of the state there are. Isn’t it time we looked at more recent causes. One of them might be continual underfunding of local government by Labour, leading to ever increasing council tax and strain on local services, including housing. Just, a thought. I am not defending Chris Grayling, it seems to me that there is little difference between him and people like Ed Balls, just that their prejudices are different. Selling off council houses for affordable prices was a good idea, but the government failed to rebuild more houses to replace them. Catastrophic failure, and now there is a housing shortage which Labour is not doing much to solve. Should be a priority in the campaign, but not an election winner, so probably won’t be. Having read Labour’s awful manifesto pledge on drugs, it’s obvious that neither the tories nor labour know what to do with narcotics substances. Pledge to implement Transform Foundation’s ideas, and, hell, I’ll forgive all the rest and vote Labour. It won’t happen, of course. The prohibitionist status quo is too useful an excuse for every expanding police powers and other unhelpful schemes.